I almost didn’t use this card as a pentacles. I thought about making it an alternate All Believers card, but in the end the other mods assured me this would work as originally planned, so here it is. I love how the main amulet pops out, almost in 3D. Oh, and as for the pentacles on the card, I assure you there are five of them. 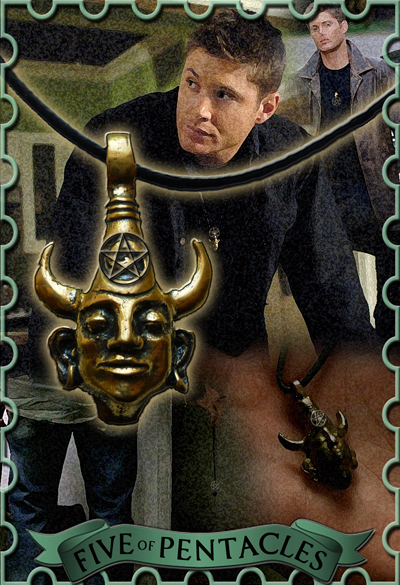 I put one on/around each amulet.